Do you dream of owning a high street-based retail business? Are you enthusiastic and determined with the ability to fund around £130,000?CeX (Complete entertainment Exchange) is searching for individuals or partners who share its passion and vision for the company, to become its first franchisees. This is a new franchise opportunity to join CeX's proven business model, developed over 12 years in 21 company-owned stores. 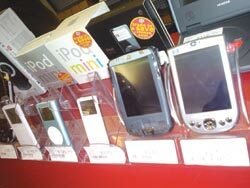 The business model involves buying and selling quality second-hand technology and entertainment products. The ongoing development of mobile phones, MP3 players, digital cameras, computers and games consoles means models are quickly updated and replaced. CeX has widened these growing markets by giving customers the choice to buy second-hand goods with a 12-month warranty at attractive prices and the ability to exchange their unwanted goods for cash or something they do want. 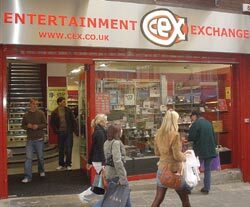 Founded in 1992 with £3,000 and a firm belief in the virility of the computer and videogames market, CeX has opened company-owned stores in Newcastle down to Southampton. The pilot franchise operation in Croydon is owned by ex-CeX Stock Control Manager Kasim Ali. Having witnessed the growth of the company from the inside, he was impressed by the durability of the CeX model to withstand a downturn in the economy. 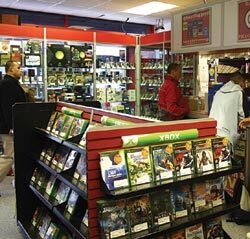 CeX currently specialises in five main product lines called 'Super Categories': Videogames, DVDs, Computing, Electronics and Mobile Phones. 'The market potential is huge,' reveals Hugh. 'The videogame business is big with its estimated value higher than any other sector in the entertainment industry. Franchisees will benefit from CeX's knowledge and experience of the marketplace such as optimal buying and selling prices and product supply and demand curves, which are essential to business success and avoiding stock shortages or surpluses. Ongoing support is provided by the senior management team including general business advice, new product updates, pricing, marketing, product repair, stock redistribution, IT, HR, public website (www.cex.co.uk) and intranet.